Product prices and availability are accurate as of 2019-04-18 11:57:40 CDT and are subject to change. Any price and availability information displayed on http://www.amazon.com/ at the time of purchase will apply to the purchase of this product. 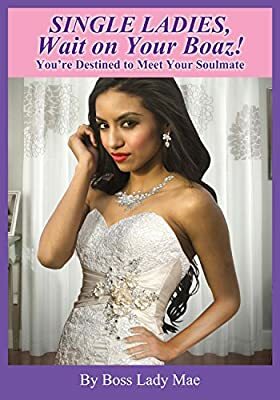 This Book will tell the truth to both the Single Ladies who wait on God for their Boaz as well as the Ones that decided to find their own…. First you have, Mrs. Tamera Thorton and her husband, Bishop Travis Thorton, who were the ideal married couple everyone admired. All the single ladies really envy her because she was the First Lady of a mega church with this incredibly handsome man who treated her like a queen. Next you have, Melanie Tate, a single lady, and a member of the church who was considered the modern day, Ruth. She was the most sought out bachelorette by single men at her church as well as visiting churches. Melanie wasn’t fazed by all the attention because her primary focus was being fully committed to pleasing God and helping others. Then you have, Helen Richards and Pearlene Bell, two single ladies who were fully committed to finding a husband. Instead of listening to the word of God, while they were at church, their minds were always on what needed to be done to get a marriage proposal. These are three intelligent, savvy, gorgeous women who were on different paths to the same destination. Explore the journeys they have taken and the results experienced by making right and wrong choices. Discover the reasons it is best to stay on the path that God desires for you so that you can meet your Boaz. If you are in a severe struggle to find the right man, it is time to put God and the Holy Spirit in the driver’s seat. Single ladies, wait on your Boaz and let God bring the right man to you!